Cloud computing rivals VMware and Amazon Web Services have announced an alliance that will let them play off each other's strengths. The powerful cloud computing arm of online retail giant Amazon will be able to handle VMware software and tools popular with businesses, according to the companies. The move was described as being tailored to integrate the world's leading private cloud (VMware) with the world's leading public cloud (AWS). "VMware Cloud on AWS offers our customers the best of both worlds," said VMware chief executive Pat Gelsinger. "This new service will make it easier for customers to preserve their investment in existing applications and processes while taking advantage of the global footprint, advanced capabilities, and scale of the AWS public cloud." 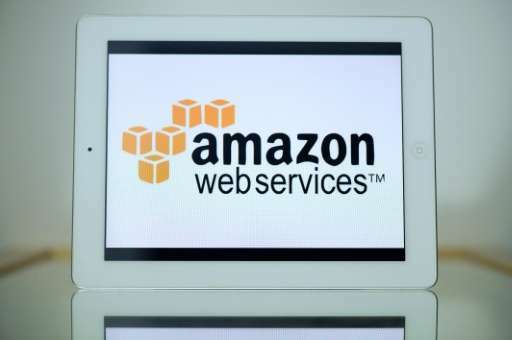 The new service was said to represent a significant investment in engineering, operations, support and sales resources from Amazon and VMware. "Our customers continue to ask us to make it easier for them to run their existing data center investments alongside AWS," said Amazon Web Services chief executive Andy Jassy. "With VMware Cloud on AWS, for the first time, it will be easy for customers to operate a consistent and seamless hybrid IT environment using their existing VMware tools on AWS." AWS lets businesses such as Netflix access computing power for websites or apps on networks typically open to the public. Such "public cloud" services are offered by Amazon, Google and Microsoft. VMware has found success with "private cloud" computing that businesses can do on-premise in their own systems. Silicon Valley-based VMware is a subsidiary of EMC Corporation, which was bought by US computer maker Dell in late 2015.